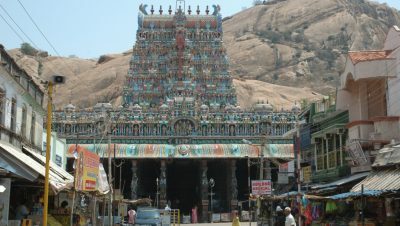 One of the six special abodes dedicated to Lord Murugan or Lord Subrahmanya is located 8 Kms South of Madurai. 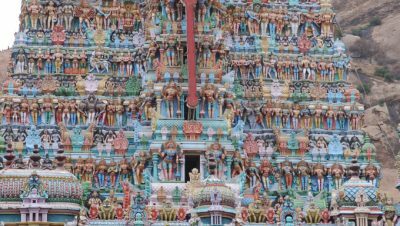 The importance of this temple is that the marriage of Lord Subrahmanya with Devayanai, the daughter of Indra, was celebrated here. The Cave shrines here are calculated as 8th century creation of the Pandiyans. 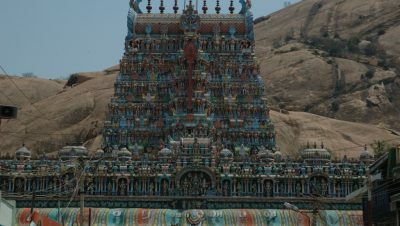 The Sanctum Sanctorum is carved out of a single rock and the temple is believed to be in existence for many centuries. The walls and the pillars have fascinating carvings. Madurai Airport is the nearest and located at Avaniyapuram, about 12 kilometres (7.5 mi) from Madurai city. Madurai Junction is the major railway station to reach here. Not many express trains stop in the Tirupparankundram station except passenger trains. Buses from State Transport Corporation ply from Madurai city regularly. Can reach in own vehicles from Madurai city.